An antipasto platter is a delicious combination of cheeses, vegetables and meats, usually served with good wines. 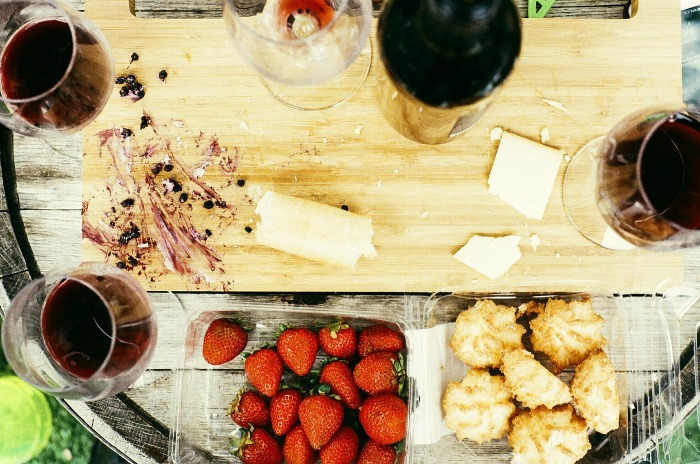 It’s a great way to start an evening with friends and is very easy to put together. 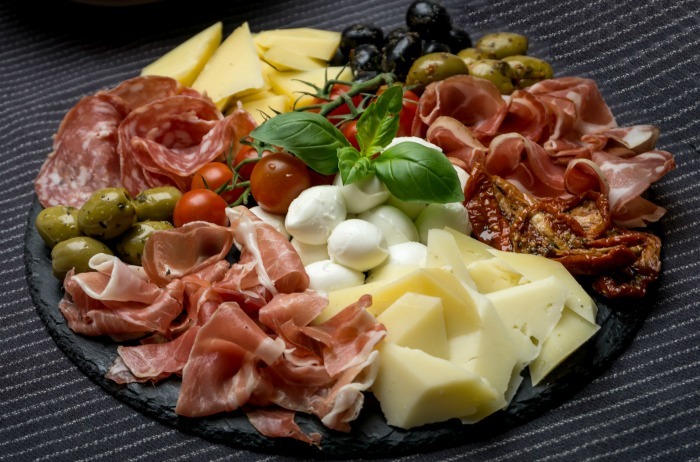 Antipasto, (the plural is called antipasti) when translated, means “before the meal.” Antipasti platters are meant to stimulate your guest’s appetite before they dig into the main meal of the evening. This type of platter makes great party appetizers.really tempt them. knock their socks off. Assembling one of these platters can be done in 30 minutes or less, which makes it ideal for a busy schedule when you are entertaining. This post is inspired by Gifts.com. All opinions are mine alone. The Gardening Cook is a participant in the Amazon Affiliate Program. This post may contain affiliate links. I earn a small commission, at no extra cost to you if you purchase through an affiliate link. There is not really a set recipe for an antipasto platter. All it takes is a love of all things that taste good, a bit of creativity and a sense of style. The trick is to keep this part of the party casual and relaxed. That is the fun of an antipasto platter! One of the things that I like most about starting the evening with an antipasto platter is that most of the work is done ahead of time. That gives me lots of time to relax and socialize with my guests before the dinner party starts. 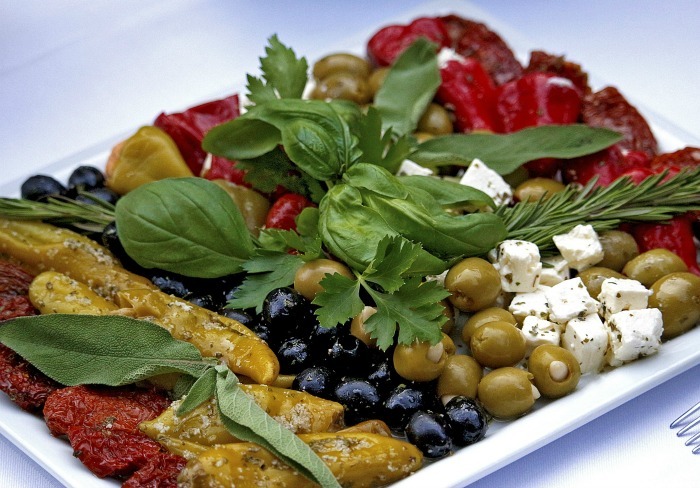 Here are my antipasto platter tips for a great party starter. Creating the perfect antipasto platter means know what types of foods your guests enjoy and then combining them in a pleasing way with a nice serving dish. This is where style comes into play. Since the food will all be served on one large platter, it is important that is appealing in looks. But, antipasto platters options truly can be very versatile with many options to serve the meats, breads and cheeses. 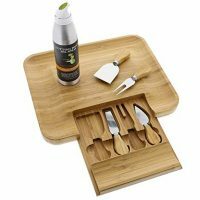 One idea is a large cutting board. This works well if the cheese has not been cut and you plan on letting the guests do this themselves or if you are going for a very rustic look. Remember that people eat with their eyes first! Another idea is to use a large white round platter that is simple in design. 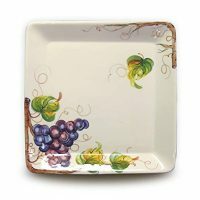 This type of platter works well if you have some color in the food options, or if you plan to serve fruit as part of the bites of food. The white platter will make the food just pop! For my antipasto platter, I will be using a wonderful 8 – piece Vineyard wine service set that I was sent by Gifts.com. 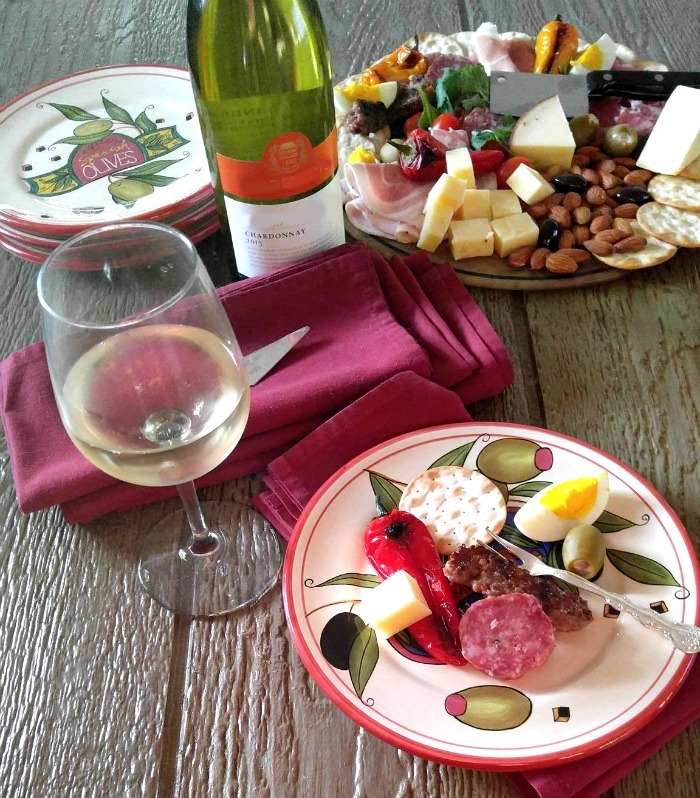 This lovely set includes everything I need to serve my antipasto platter as well as the wines that will accompany it. In addition to the glass platter, the wine service set also has 6 wine glasses. It even has a little “meat cleaver” knife for cutting the cheese that I just love! The site even personalized the platter with our family name. How fun is that? What I really love about this platter is that I can load it with the antipasto food and the guests won’t see the specialized wording until later in the evening. What a great talking point! 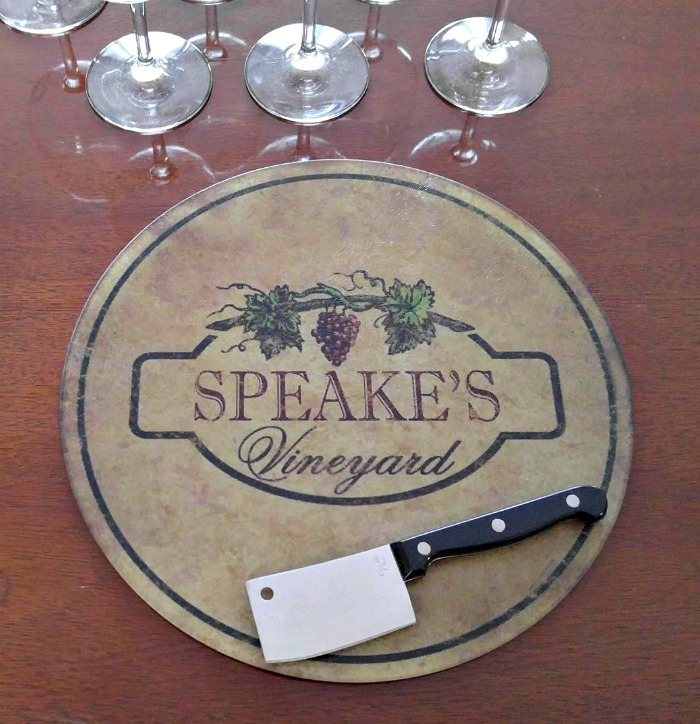 I know that I want to be the one who serves as the food as the Speake’s Vineyard wording starts to show! We often think of antipasti platters as a good choice for indoor entertaining, but they are perfectly suited to outdoor gatherings as well, particularly during the summer months when it can be so hot indoors. Summer entertaining is often casual and the rustic look of these platters along with wine is perfect for the start of an outdoor party. Bring the food to room temperature indoors till your guests arrive to be safe with the food. If your outdoor area is not screened, you may also need some type of covering or food cloche to keep the pests away. 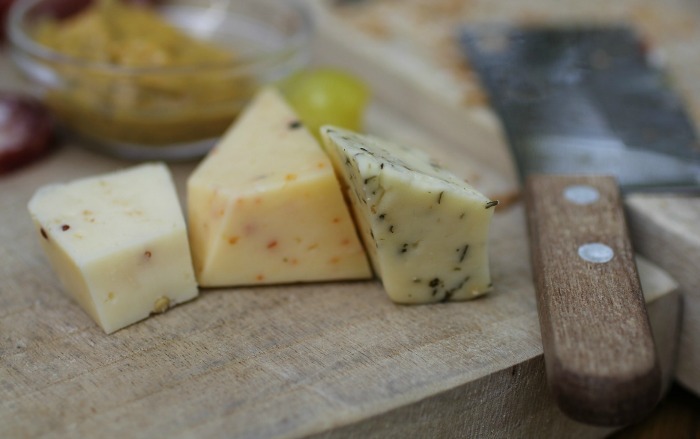 I like to choose a variety of cheeses that give me both different tastes, and different textures. Think both soft cheeses and firm ones. Keep the flavor of the cheese simple, as opposed to a cheese ball which has been flavored. You can either put small wedges and let the guests cut their own, the perfect way to use a meat cleaver or cheese knife, or you can cut some thick slices in advance to make it easy for your guests. Pre-cut cheeses makes it a bit easier for the guests to sample the food if you are planning on holding the tray. They also make the prep for the platter much easier. It is not just the platter that matters. You’ll be serving the guests individual portions, so they will need something to hold their choices on. In addition to the antipasto platter, you might want to think about having some appetizer serving plates for your guests. My husband and I found this wonderful antipasto plate set at a consignment shop when we were antique hunting one weekend. They set the mood for the part and are perfect for serving the antipasto food. Any nicely designed plate will add to the experience and set the mood nicely for your party. 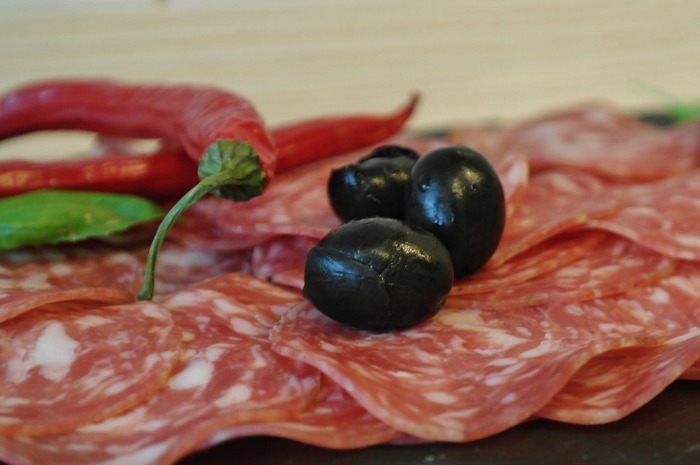 Meats on an antipasto platter are most often pre-sliced and loosely arranged. This makes them easy to pick up. Remember, we are going for rustic and casual. You can roll them or twist them for a bit of extra flair. Vegetables on an antipasto platter give you a chance to add color to the dish or to add some fresh picked or preserved items. Don’t forget to use fresh herbs. Basil, sage, and rosemary sprigs add a touch of freshness to any antipasto platter and decorate the platter with color as well. Serve something Hot or Grilled. Who doesn’t love grilled marks on food or the taste of hot food with cheese? I know that I do and so do my guests. This could be a fun addition to the antipasto platter after the party stops. 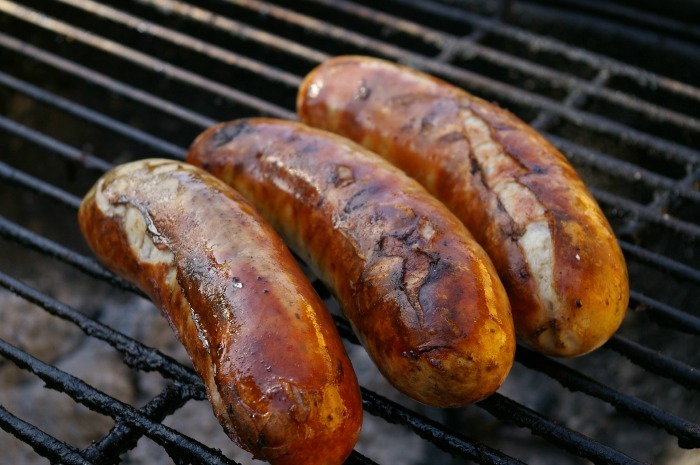 Most guys love to gather around a grill with a beer while the cooking is done by the host and you will end up with some freshly cooked hot meat for your platter when they are done. Crostini. You can purchase these or make your own. 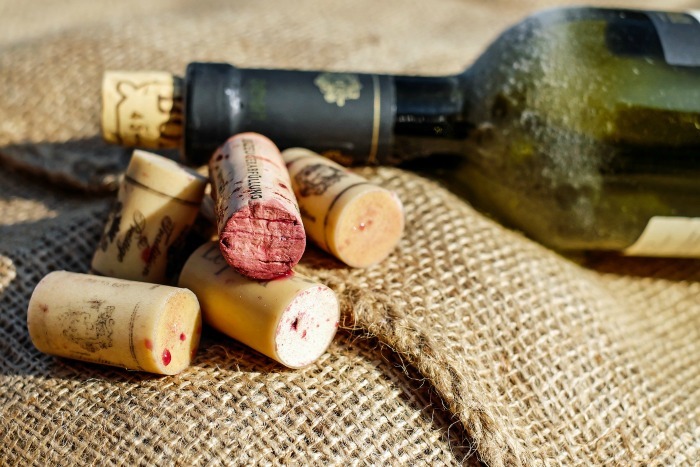 No good antipasto platter is complete without some wines to go along with it. 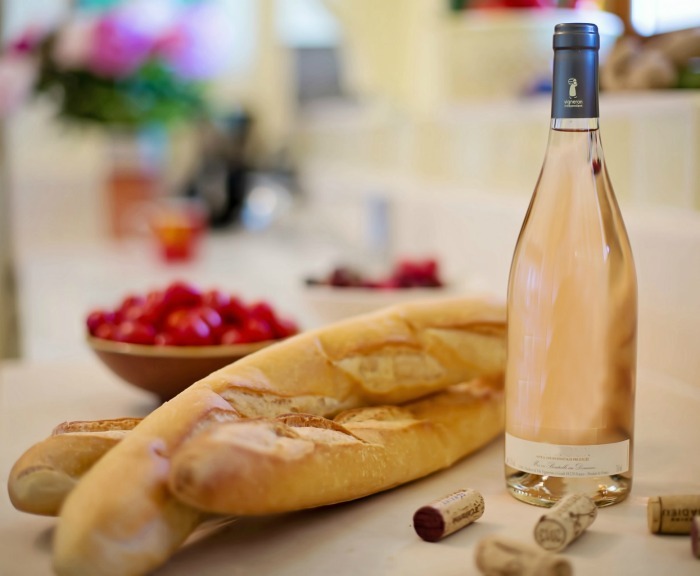 Even though I have meat on my antipasto platter, I tend to favor fruitier white wines to pair with the food as well as light reds. Large or Small – Which is Best? The choice is really yours and depends on the size of your party. If you are only having a few guests, keep the platter small. If you have a huge board of food, and are planning a main course, the guests will definitely fill up to much on the antipasti, so a simple selection is best. On the other hand, if you are only serving drinks and appetizers or are expecting a large crowd, then a large platter of choices is more fun. Think in the 12- 18 food items range to really WOW your guests. I put together an antipasto plate for a dinner party recently. It was a huge hit with our guests. I tried to incorporate items from each of the groups above when I assembled it, and it came out beautifully! The platter has everything going for it. Freshness, color, taste, heat, cold choices and crunch. There is a choice on this antipasti platter for every taste bud. Almonds, both raw, unsalted and dark chocolate coated. The tastes were amazing and the special serving plates were just the right size so that my guests did not eat too much before dinner. 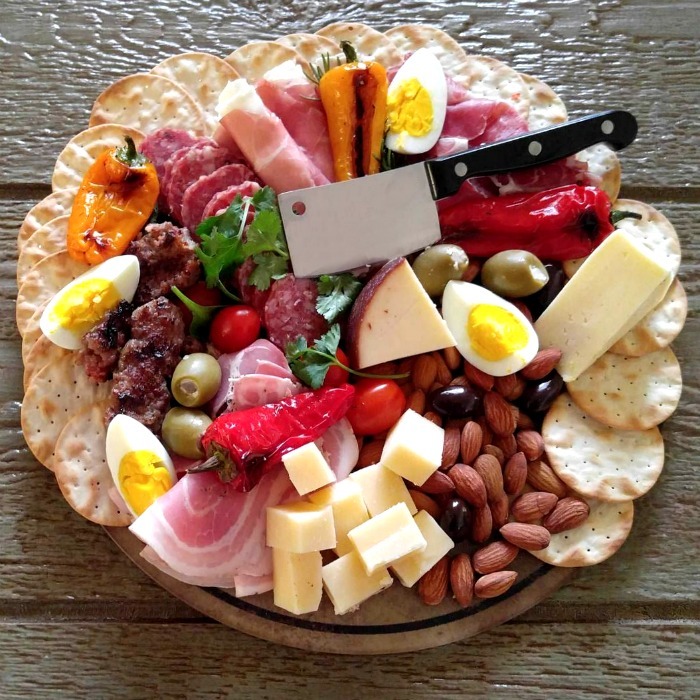 One of the best things about an antipasto platter is that you can prepare it ahead of time. 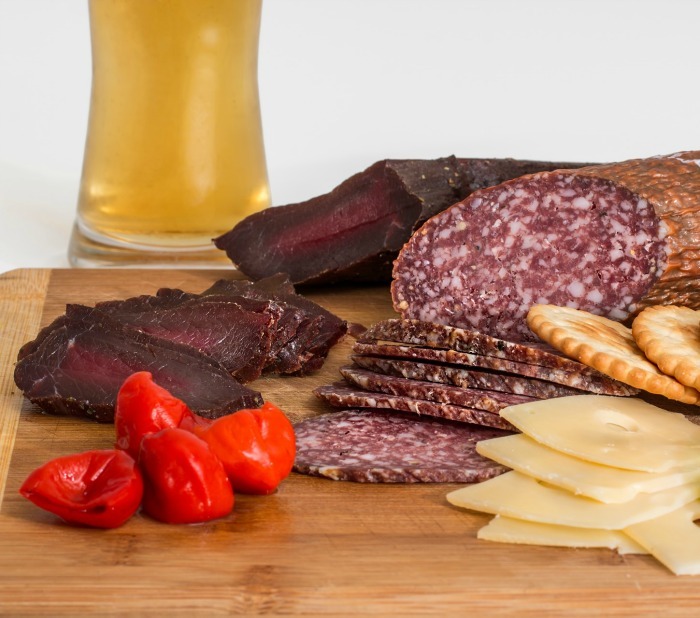 Since it has cold meats and cheese, you will want to place it in the fridge to keep it fresh. But don’t bring it out right when the guests arrive. 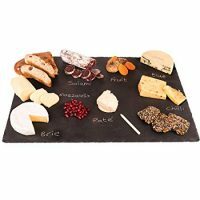 Cheese has much more flavor when it is served at room temperature, so bring the platter out of the fridge about 30-45 minutes before serving time. I generally serve chilled wines (and have some beer on hand for guests who don’t like wine) to go along with the food on the platter. You’ll need something to keep it warm. Galvanized tubs filled with ice are the perfect choice. They are very trendy right now and do a great job at keeping beverages cold. In addition to my lovely wine set from Gifts.com, I was also given this amazing personalized wine beverage tub. 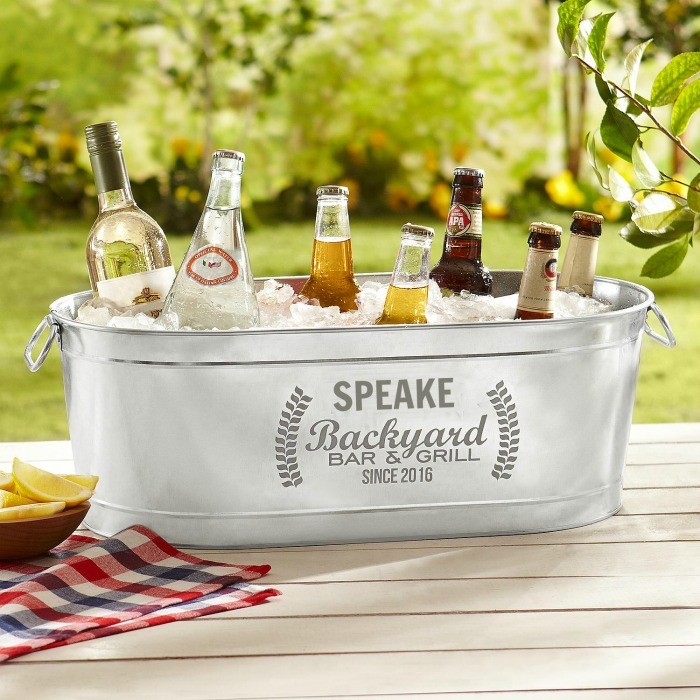 It is the prefect way to keep the beer and wine chilled for a BBQ party outdoors! The tub is also personalized and comes with a convenient iron stand that holds the bottles at a convenient level for serving. What are your favorite antipasto platter tastes? Do you ever add sweet tastes on the platter or do you keep it all savory? I’d love to hear your comments below. 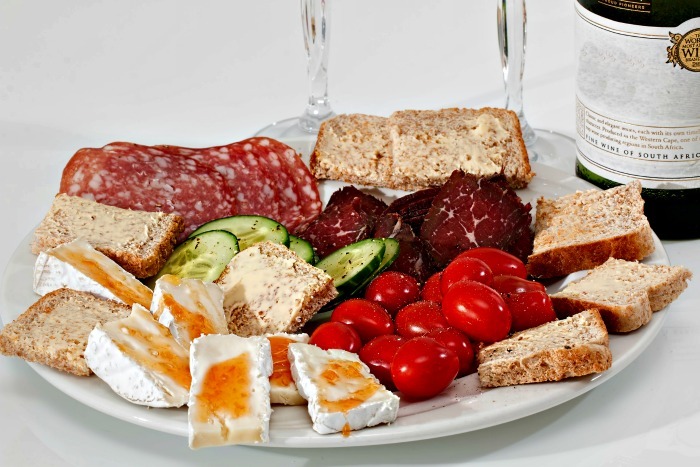 With a bit of thought ahead to time to purchase the right ingredients and put this platter together before your party, an Antipasto Platter will meet your guests tastes in style and allow you the time to spend enjoying the company of your party guests. Admin Note: This post first appeared in January of 2017. I have updated the post to add new tips, a video and some extra photos to help you in perfecting your antipasti for guests. Arrange the water crackers in a ring along the outside edges of your serving platter. Place the rest of the food items in groups, nicely arranged on the platter. 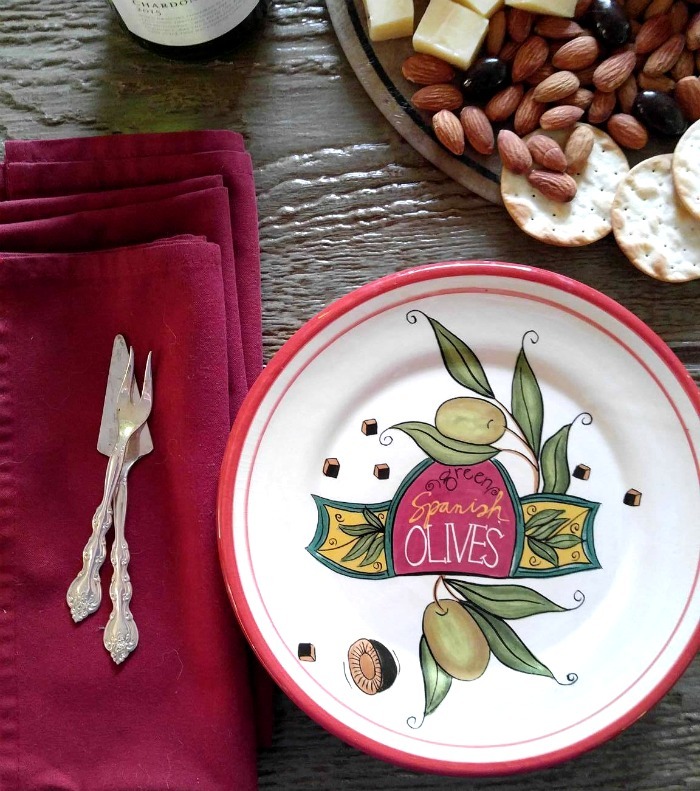 Serve the platter and offer guests appetizer plates and napkins for their food. Nutritional information is approximate since I did not give total amounts of each item on the platter. Values are typical of a platter with these items. I love a great antipasto platter and would opt to have this as a main meal rather than just a starter. I think the key to a great platter is to have a good variety of options plus colors as we eat with our eyes first. Your example looks so tempting, I can see why it was such a hit with your guests. The hardboiled eggs were a surprise to me, I had not thought to include them but they add such great color. Your antipasto platter came out perfect! I love the way you’ve presented everything in such a way that they all look so appetizing. I love the meats and the cheeses, and the almonds too. 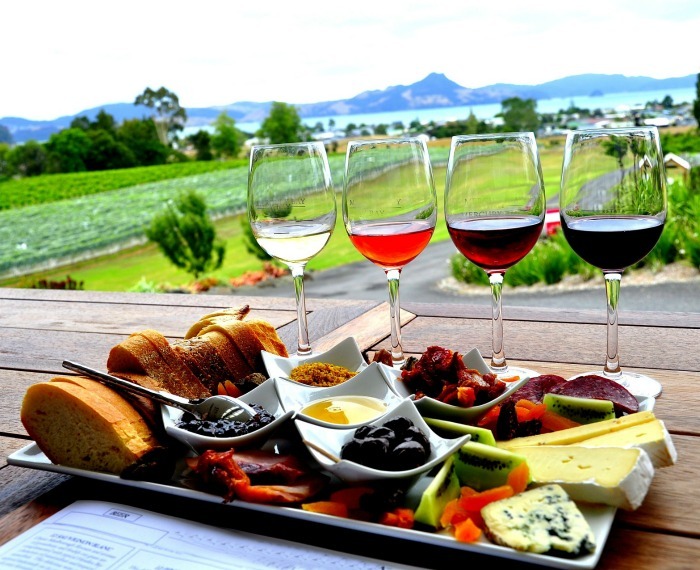 Your choice of wines would really go well with the food on this platter. I’m going to copy this the next time I host a small party at home. I have never made an antipasto tray though I do love them when I go to parties and they are available as appetizers. I usually go straight for the cheese and strawberries. The almonds in it sound interesting. I guess I could make something like this. Seems pretty simple and nice to have to offer guests. Maybe I will try this. Wine and Antipasto platters! YES PLEASE!! I love making antipasto platters for our small get togethers. I really like your tips here. So many great options to hosting a great party with friends and family. Such a simple option but guests love it. Thanks Censie. It is always nice when tasty and easy go together! Your antipasto platter looks incredible! I love all of the different meats and cheeses! Havarti is one of my favorite cheeses! So super creamy! I also love that you added hard-boiled eggs to the plate! They compliment meat and cheese so well! I would eat this plate up! Thanks Echo. We love to make this as a meal sometimes instead of as a party appetizer. It makes my husband VERY happy! 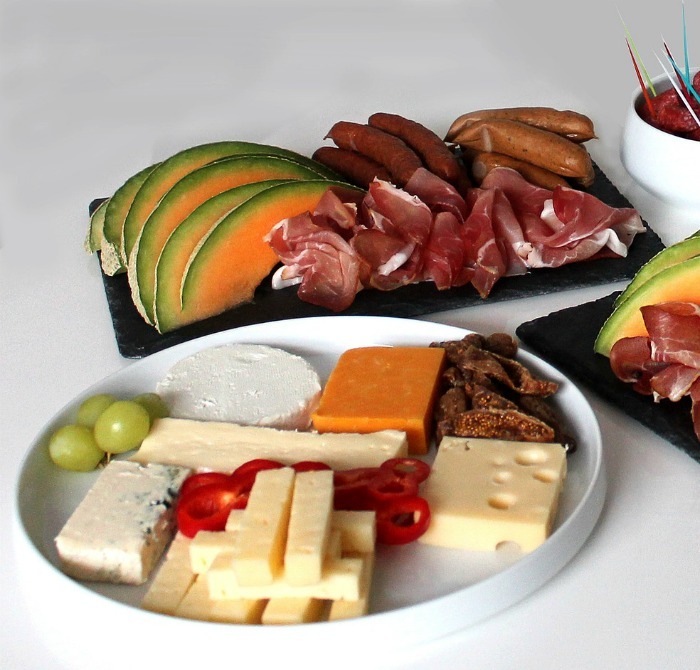 Oh wow…that platter is packed with a lot of variety – and I love smoked gouda cheese. I’ve never made one before, but seeing all of this makes me want to. I like the idea that I can be creative and finally use my cheese platter set that’s been collecting dust. Hi Yona. The variety is what I like about the platter too. There is something for all tastes. Honestly, this just looks like a fabulous DINNER to me. I LOVE antipasto. With a glass of wine, too? Sign.me.up. Your serving plates are just too cute, btw! 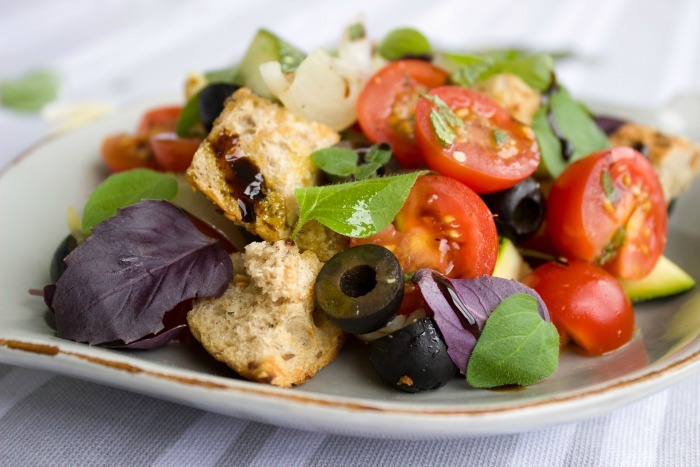 Such good tips for getting it right – I’ve seen a lot of people try to do it themselves at home and it isn’t true antipasto. I love that yours is the real deal! I could do this for one of our weekend dinners too. I just love anything antipasto. My hubby will always go for it too. He is coming around and trying more things like olives. I’m trying to get him to eat artichokes. If he would eat like this all of the time I’d finally be thin. This antipasto platter looks so good! I love Italian foods! This platter consists all of my favorite things! It was fun to put together. Those are my husband’s favorites too! Great post. Look delicious and nutritious. Thank for sharing. Very helpful tips. Through this, I can create more special and unique dish in our table. All the details are all interesting. Thumbs up! I will share this tips to my friends who also love to cook.